Despite presences across the major player networks – Facebook, Twitter, LinkedIn – and a large follower base (we’re talking more than 10,000 fans on LinkedIn), they didn’t post often because they didn’t see the value. The solution was coming up with a strategy that catered to different audiences. Because recruitment firms need to please both candidates and clients, our client was worried about posting to one audience, and in turn, alienating the other. 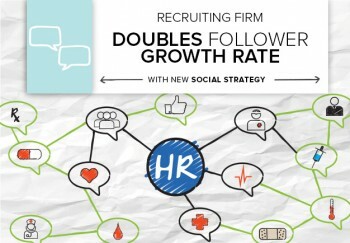 This client was unsure how to best utilize social for two distinct audiences – hospitals and organizations looking for candidates versus healthcare executives exploring job opportunities. They cater to a mature audience – CEOs, Chief Medical Officers, and other executive level positions – but weren’t sure how a professional tone would resonate on social. 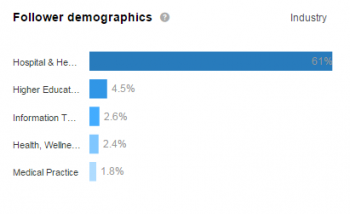 Perform an audience audit to determine each network’s demographics. Create unique strategies across Twitter, Facebook and LinkedIn, all featuring different content formats and unique wording. Recruiters don’t need to see job interview tips. And job seekers won’t be particularly interested in employment retention strategies. But in the end, they’re both active within the same industries, and determining where their interests intersect is your social media sweet spot. “For this client, the certain common ground is they both have a stake in the current climate of the healthcare industry – they both need to be up to date on this news,” Social Strategist Bob McHugh said. 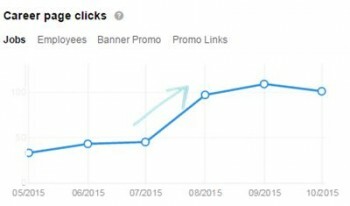 To kick off this strategy, we performed an audience audit. This brand is well known and already had a base of thousands of followers. 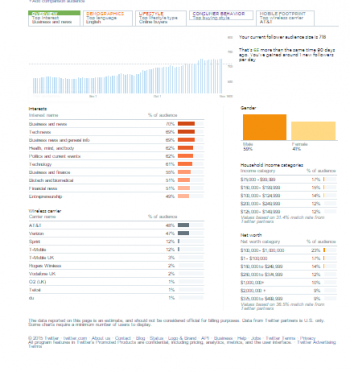 Having this data at our disposal, we were able to determine trends within each audience’s job title, age and income. LinkedIn had the largest base of executives in the healthcare industry. Because of this, we know we want to be posting job listings consistently. 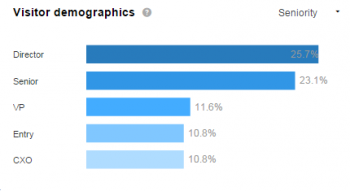 Facebook is split in terms of clients and candidates. This means we’re sticking to a universal approach, sharing news that would be relevant to anyone within the healthcare industry. Twitter is faster-paced and less personal. Not only does this mean we post more, but we post content that caters across audiences, knowing that it’s unlikely someone will see every post that goes live.